The following supplication has been recited by the pious elders on this occasion. 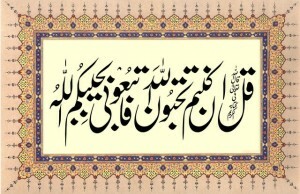 Surah Yaseen (chapter 36) is recited three times. Each time it is followed by this supplication. “This night is meant for worshiping Allah in solitude. It is the time to enjoy the direct contact with the Lord of the Universe, and to devote one’s attention to Him and Him alone. This entry was posted in D. Acts of Worship, F. Zikir & fikr, S. Sunna, W. Wird & wazaif, Z. Mustahebbat on June 21, 2013 by 'abd.